I'm a total pen and paper girl and I love to-do lists. There is something so satisfying about crossing a completed task off of a to-do list! 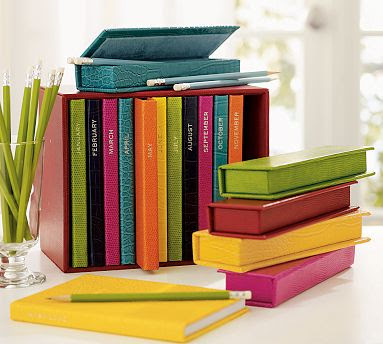 So of course, I absolutely love this collection of monthly journals from Pottery Barn. It's such a great and stylish way to stay organized.